The fatal fire at Grenfell Tower shows that architects need to be reevaluating the functionality and safety of old buildings, as well as their aesthetics, according to architect Ole Scheeren. The Buro Ole Scheeren founder, who has just unveiled plans to radically transform an old office block in Frankfurt, claims that tower blocks in particular provide architects with opportunities to develop innovative solutions. But he said the accident in west London at Grenfell Tower – which had simply been re-clad, rather than redesigned to improve its safety – shows that high-rise buildings need to be cleverly reassessed and never just given a facelift. "This is a tragic example that underlines the fact that architectural intervention should not be limited to surfaces and facades," Scheeren told Dezeen. "We really need to look at the inherent structural issues of a building, and I don't mean that in terms of stability structure, but all the aspects of how a building functions and what safety it provides, what functionality it provides, and also what kind of social quality it provides," he added. "This is where we have to focus our work." Scheeren's plans for the 23-storey Frankfurt tower involve completely reconfiguring its interior, creating a more fire-safe staircase and lift core at the centre, and creating new glass-fronted apartments around the outside. The architect sees the project as a model for how many towers that have become unfit for purpose could be transformed. "This is a great example in the context of reuse, in the context of assessing the values of maybe outdated structures that can suddenly become a very positive transformation," he said. "What is exciting is that this is not an old tower with a facelift," added Scheeren. "When you look at the building, you will probably not even think that it was an existing building – it will look much more new-build than most of the new-build things that go up around it." The fire at Grenfell Tower took place in June 2017 and claimed an estimated 80 lives. The cladding panels, which were added to the building as part of a recent refurbishment, are understood to have helped spread the flames. 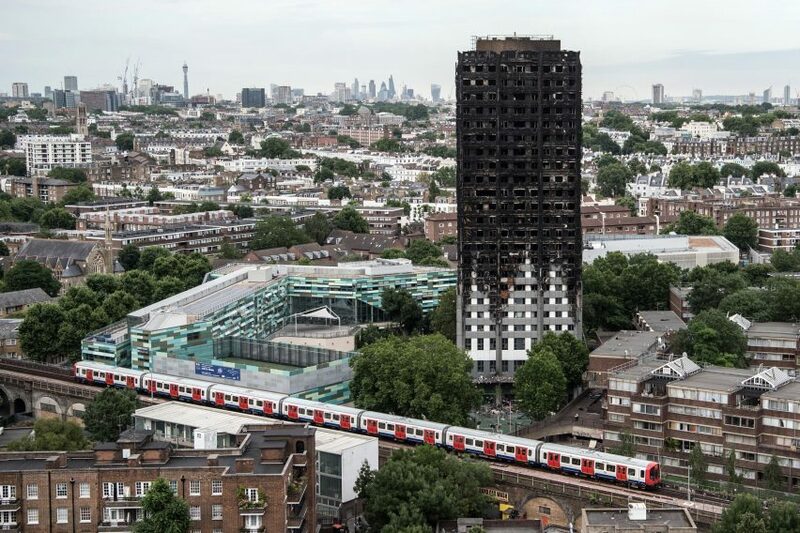 The disaster prompted an emergency safety review of 4,000 similar buildings across the UK, and has also caused similar reviews of safety regulations in other countries, including Australia. Scheeren's project is one of several to emerge in recent years that demonstrate innovative ways of dealing with old structures. Others include the renovation of Tour Bois-le-Prêtre – a 1960s residential block in Paris that was once nicknamed Alcatraz, but which has now been extensively renovated to create better quality living spaces. Similarly, this year's Mies van der Rohe Award was given to a dilapidated 1960s slab block that has been completely revamped, and is now one of the most sought-after addresses in the city. "Of course it's also a matter of sustainability," added Scheeren. "Rather than just demolishing everything and building new, you can be more economical but also more sustainable, and make really great things without starting from scratch every time." Scheeren ranked at number 161 on the inaugural Dezeen Hot List. The architect was a director at OMA and project architect for the CCTV building, before leaving to establish his own firm Buro Ole Scheeren in 2010. Riverpark Tower is his first project in Europe, and is expected to start on site in late 2018.